Number Twenty Two, South Anne Street has transformed Saturday Night entertainment in Dublin city centre with GLITTERBALL – Saturday Nite Fever. A new themed concept with all the glitz & glamour, vibes, visuals & music reflective of New York’s disco heyday nostalgia brought up to date for a fresh clubbing experience for the city. And offering supper-club deals from earlier in the evening + live performances. 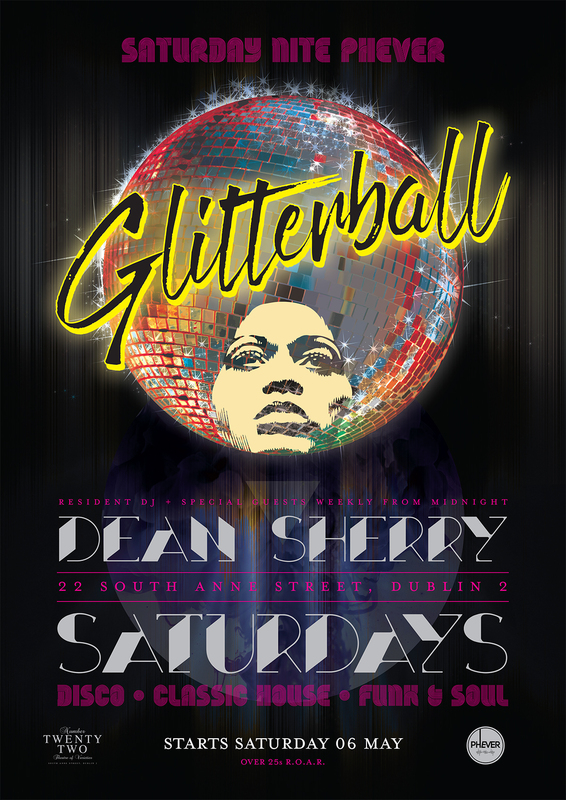 Featuring exclusive resident DJ DEAN SHERRY + weekly guests both on support & headline plus occasional internationals. This is a weekend highlight to experience and something the city has been waiting for… Over 25s.